And then there are Pixar movies, where the beautiful imagery is just priceless. So it goes in the company’s latest, the simply named Up, which is a gorgeous, bright, colorful movie that has as much depth and emotion as it does stunning visuals. I just don’t know how those Pixar folks do it. Every single film they make is an impressive achievement, each one better than the last. At the beginning of Up, Carl Fredricksen, a shy little boy, meets Ellie, a tomboy, who shares his interest in exploration and adventure. Over the course of five minutes, we watch as these two grow up, get married, and grow old together, always dreaming of traveling to Paradise Falls in South America. 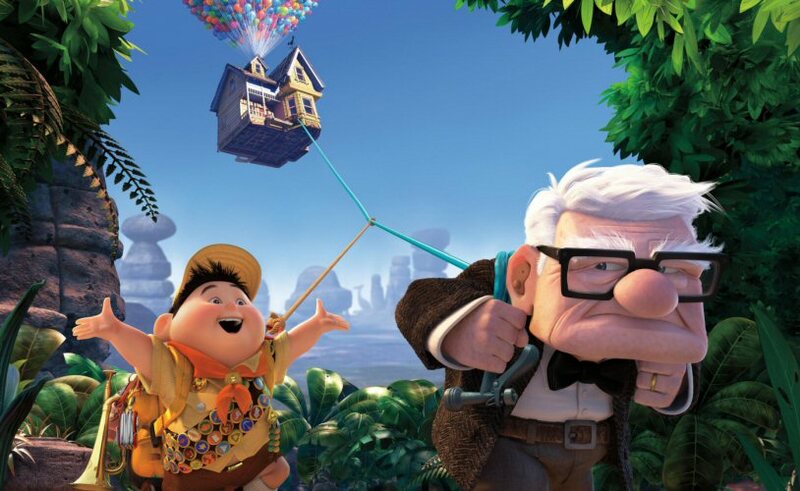 When Ellie passes away (get your tissues ready — seriously), Carl is left alone in their house, and when he’s forced out by a construction crew that wants to build on his land, Carl decides to finally make his and Ellie’s dream come true: He attaches hundreds of balloons to the house and floats away. 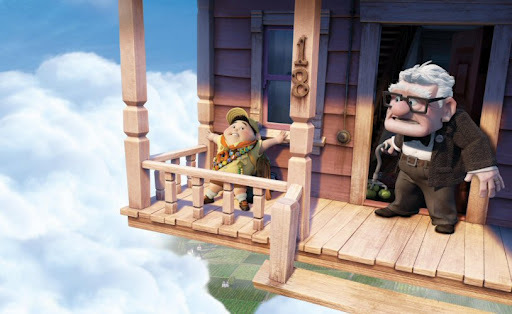 Of course, this being a Disney film, Carl is accompanied by Russell, a chubby Wilderness Explorer who is trying to earn his “Assisting the Elderly” badge. Russell has a neglectful father, but he shares Carl’s sense of wonder, and the two become companions as they travel south of the border. It’s hard to say just what makes Up such a special movie because so much of it is just wonderful, but for me, as always with these films, it comes down to the animation. The Pixar geniuses pack so much emotion into their characters that you’ll laugh, you’ll cry, you’ll be on the edge of your seat at times, and you’ll feel proud at others. These animated characters act better than many real-life actors, and the direction (by Pete Docter) is just perfect. The film doesn’t ever become cloying or patronizing, and every emotion you feel is earned. And again, the images are just stunning. You won’t see more gorgeous footage all year than the couple minutes after Carl takes off and his house is sailing through the sky. Each balloon is rendered brilliantly, and against the perfect blue sky it’s just an incredible sight. And if you see Up in 3D, like I did … Wow. Just wow. You don’t have to see Up in 3D, but the amount of depth and dimension it adds to the film is absolutely worth the extra couple bucks you’ll pay. This is not gratuitous stunt 3D. It’s natural and organic, and after a while, you don’t even notice it (which is meant as a compliment). 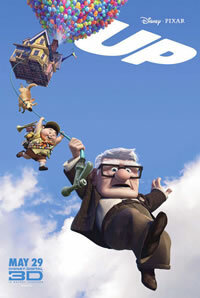 No surprise, Up is one of the year’s best movies so far and a real achievement for the folks at Pixar. I had been looking forward to this one for some time, and it definitely did not disappoint. I’m giving Up an A.